This snapshot photo was purchased on eBay in 2012. 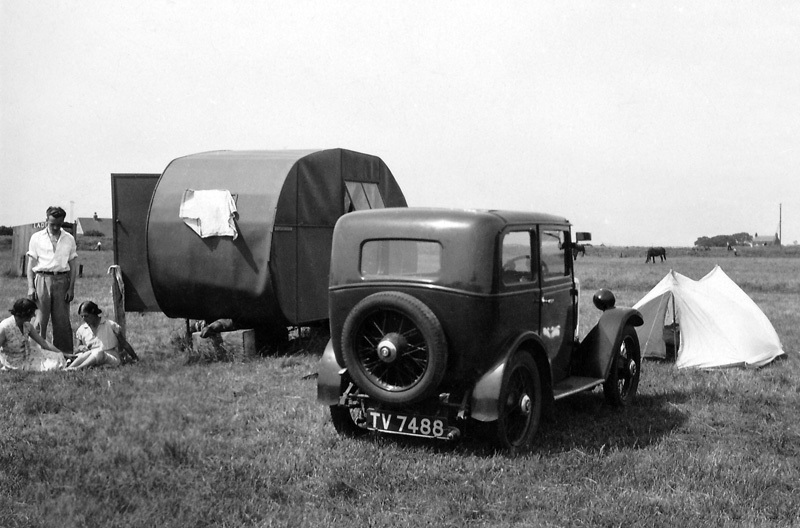 The 1932 Nottingham City Borough Council registered Minor Saloon (TV 7488) had conveyed this family (or two couples) on a camping holiday to a location that is perhaps somewhere on the east coast of England. The lightweight caravan appears to be skinned in canvas although the Minor doesn’t appear to have a towbar in place and the long grass around the supporting block suggests that the caravan is a resident on the site. The caption on the rear of the photo simply reads ‘1934’.